Capturing the historic and picturesque qualities of one of France's most popular architectural towns, here we have the Ivory shabby chic Bedside. Expertly hand crafted and carved from high quality mahogany, both the attention to detail on the magnificent features and the overall caliber of the Bordeaux collection is of the highest order. 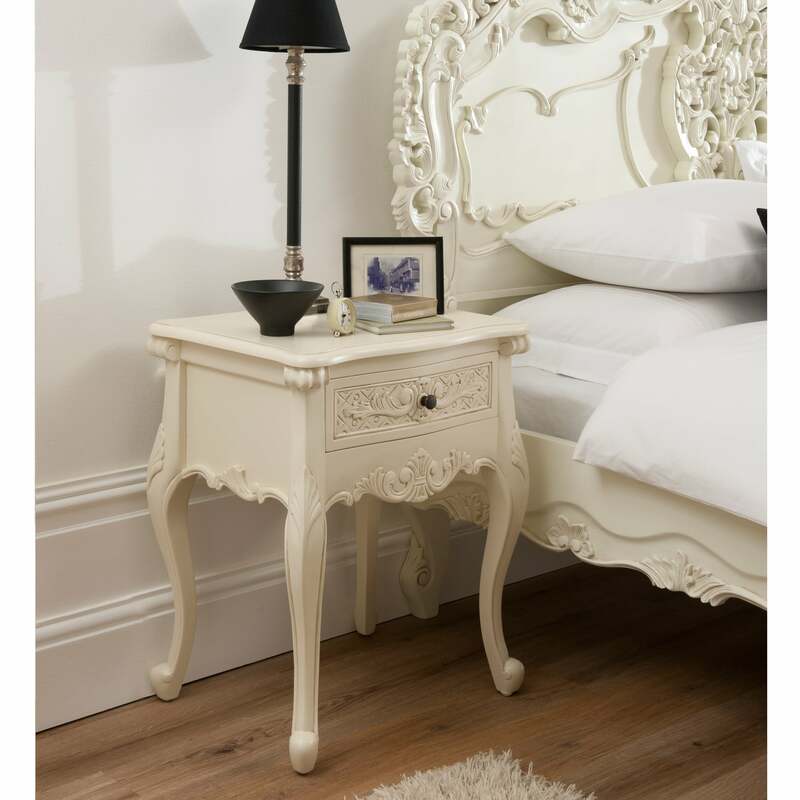 As the pictures here of this shabby chic Bedside show, the Bordeaux collection is finished with a subtle distressed ivory paint, giving off a vibe of wonderful exuberance in your bedroom. These qualities resonate and make this Bedside and the Bordeaux collection as a whole one of the most popular bedroom collections that also work fantastically with our Shabby Chic furniture.